So you’ve got some group travel to New York City planned. What’s the big deal? Seeing the sights of New York shouldn’t be all that complicated. Its skyline is familiar, seen on countless TV shows and movies. Its streets and avenues are on a famous grid system, with the avenues running one way and the streets running the other. It’s got airports, subways, taxis, buses – all the public transportation you could want. And it’s absolutely packed with interesting things to do. No problem, right? 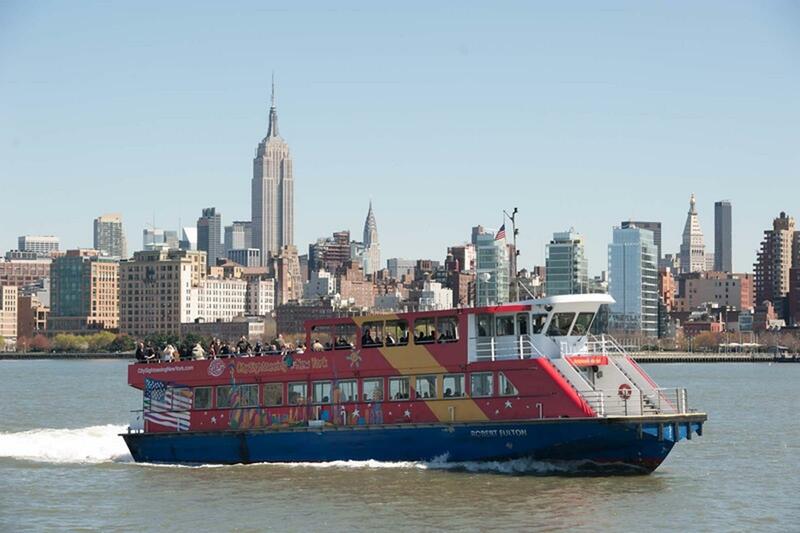 CitySightseeing New York® cruises feature panoramic views of the city skyline. It turns out that New York can be a pretty intimidating place to visit, especially for student groups. No one wants to be lost. That well-planned street system works wonderfully – except when it doesn’t work at all. Complicating matters is New York’s frantic pace, ferocious traffic and densely-packed populace. No wonder that group travel planners often leave tours to the experts, like City Sightseeing. CitySightseeing New York® cruises sail under the Brooklyn, Manhattan and Williamsburg bridges. For most people, the New York we think of is the isle of Manhattan: 22 square miles of diverse architecture, cultures and people. Only Manhattan could be home to the UN Building and Greenwich Village, to Chinatown and Broadway, to Wall Street and Times Square. 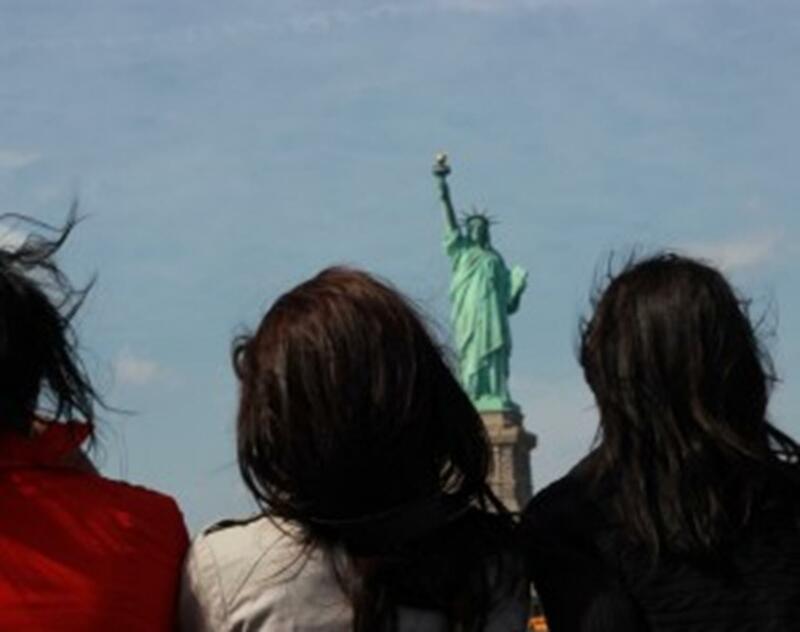 Group travel to New York is undoubtedly very popular. Although river-bound Manhattan can’t really sprawl, physically speaking, as Los Angeles or Chicago seem to do, it does pack a whole lot of famous people, places and things into one small bit of geography. What can you do if you want to get a visual on some local landmarks but your group doesn’t have a lot of time to spend? Your best bet is a sightseeing tour. The Statue of Liberty and Ellis Island. Greeting visitors, immigrants, and New York residents alike since 1886, the Statue of Liberty is the symbol of New York and the entire United States. The hefty Lady Liberty – she stands 111 feet tall (305 feet with the base) and weighs 450,000 pounds – was designed by French sculptor Frederic Auguste Bartholdi and presented to the United States as a gift from France. Nearby sits Ellis Island, the gateway to the US from 1892 to 1956. While other ports were used, Ellis Island (currently closed due to Superstorm Sandy damage) is the most well-known; it processed over 12 million entrants into America. Brooklyn Bridge. Built in 1883, this suspension bridge still amazes visitors today. It spans the East River and connects the boroughs of Manhattan and Brooklyn. The bridge, once the longest of its kind in the world, is an excellent example of neo-Gothic architecture and structural know-how. Freedom Tower, also known as One World Trade Center. September 11’s attacks may have changed the world, but they didn’t dampen the spirit of Manhattan’s builders. Sitting on part of the site of the former World Trade Center, Freedom Tower is the city’s tallest skyscraper; its slivery form stretches 1,776 feet into the New York sky. Also on-site is the National September 11 Memorial, and a museum opens in spring of 2014. Empire State Building. The darling of New York’s skyline, the Empire State building is recognizable thanks to movies that range from Spider-Man to An Affair to Remember. At 103 stories and 1,467 feet, it was the tallest building in the city until the recent completion of One World Trade Center. The World’s Most Famous Office Building has two observation decks and hosts over four million visitors a year. The Manhattan Skyline. The Manhattan skyline could be considered a work of art in itself. The view differs as you move from Midtown Manhattan to Lower Manhattan. Thanks to Manhattan Island’s exceptionally strong bedrock, more skyscrapers were packed in here than other places could support. The result was a soaring skyline with a mixture of styles, including Art Deco, Gothic and modern. 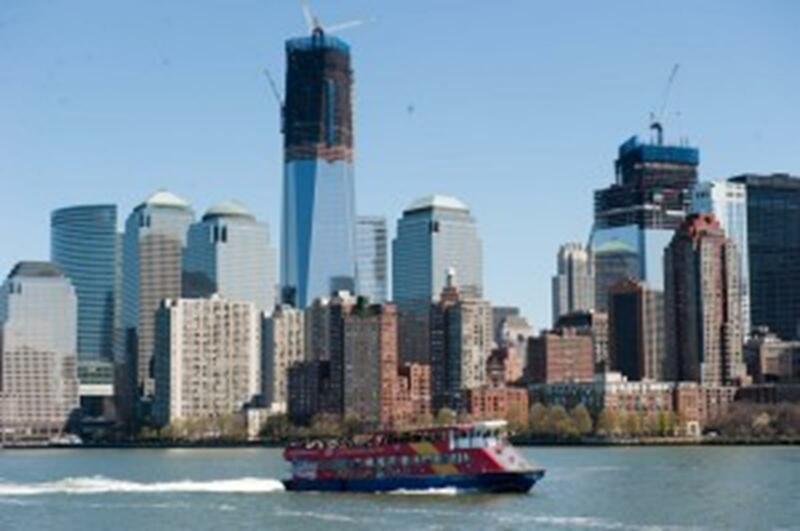 Enjoy views of the new One World Trade Center. City Sightseeing offers three types of tours for your group: bus, harbor cruise or a combination of both. Why choose City Sightseeing for your student travel needs? For one reason, they have a dedicated group travel department, which will take care of itinerary planning, transportation and booking for your group. And no group – students or adults – is too small to matter at City Sightseeing. What other amenities does City Sightseeing provide? Each cruise stops in front of the Statue of Liberty for photos. In other words, City Sightseeing takes some of the planning out of travel planning, while your group gets to see some of New York’s top sights in a relatively short amount of time. Student group travel to New York City highlights both the best of group travel – the shops! the museums! the shows! the food! – and the worst, at least from a transportation and logistics standpoint. 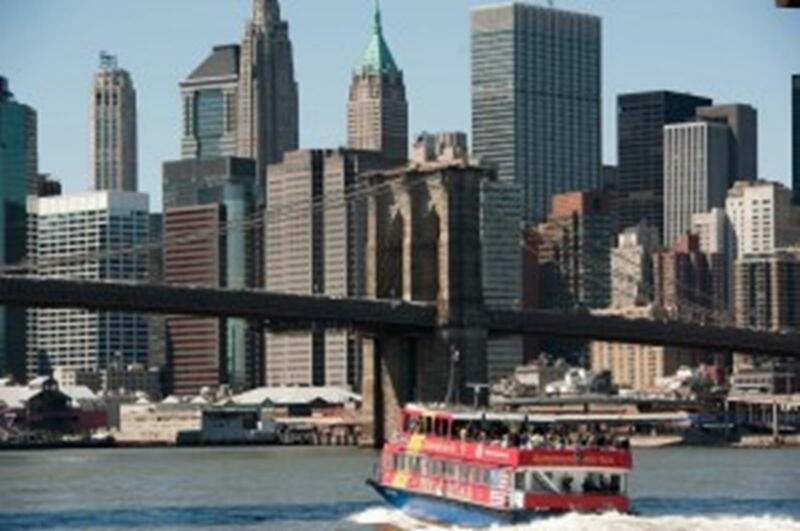 Rather than battle crowds and traffic, let the pros at City Sightseeing arrange a private tour of New York landmarks.